Andrew has extensive experience in directing film, television and theatre. He has directed numerous stage plays and short films including the award winning AFC funded short film, Calling Gerry Molloy. 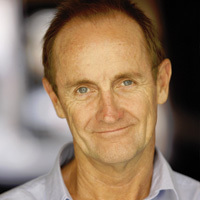 In television he has directed episodes of the series Castaway, Sleepover Club, Streetsmartz, Parallax, Something in the Air, Home and Away, Ocean Star, Snobs, Going Home, Breakers and Pacific Drive. He has also produced, directed and written documentary and magazine programs for the ABC. Andrew is a directing graduate of the Western Australian Academy of Performing Arts (WAAPA) and holds two Masters degrees ''“ one in Film and TV Directing from The Australian Film, Television and Radio School (AFTRS) and the other in Film and Theatre Studies from the University of New South Wales. Andrew is currently the Program Director of Performance at The Western Australian Academy of Performing Arts, responsible for the Acting, Music Theatre, Performing Arts, Dance and Aboriginal Theatre Courses. He is also Associate Director of the WA Screen Academy. In his role as Program Director he manages over twenty full time staff and over forty sessional (part- time) staff. Andrew is currently a Screenwest Board Member and a member of the Australian Writers Guild Executive (WA Chapter). At the 2007 Western Australian Screen Awards Andrew won an award for Outstanding Achievement in Drama Directing for his work on the series, Sleepover Club.